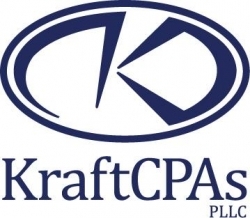 Since its inception in 1958, KraftCPAs PLLC has become one of the largest, independent certified public accounting firms in Middle Tennessee. Founded by the late Joe Kraft, the firm presently has 16 members and a total staff of more than 190 men and women, including approximately 80 CPAs. With offices in Nashville, Columbia and Lebanon, the firm provides not only audit, tax, and accounting, but also a broad range of consulting services to meet our clients’ growing needs. These consulting services represent our commitment to go beyond the basics and provide “value added” services that will increase the efficiency and effectiveness of your operations. Please visit the services area of our website for more information. Kraft Technology Group, LLC offers managed IT services, co-managed IT services, cybersecurity management services, cloud application and infrastructure management, virtual CIO services, and technology consulting. Kraft Healthcare Consulting, LLC provides advisory and compliance services to healthcare providers across the U.S. These services include Medicare/Medicaid cost reports, operational assessments, and revenue cycle reviews, as well as coding, billing and clinical documentation consulting. Kraft Enterprise Systems, LLC specializes in the sale, selection, implementation, integration, and support of enterprise software solutions, including ERP, accounting software, document imaging solutions, CRM, and budgeting/forecasting solutions. From a product standpoint, KES focuses on NetSuite, Adaptive Insights, and Microsoft Dynamics GP. 2nd Generation Capital, LLC provides investment banking and transaction advisory support to family-owned and privately-held businesses with strategic growth objectives and monetization strategies. Additional expert services include valuation, litigation support and corporate governance advisory. All transactions are conducted through 2nd Generation Financial (member FINRA & SIPC), a wholly-owned subsidiary.